The conference centre is located at the Hochschule für Technik und Architektur in Luzuern and is part of the FHZ. Detailed information and a precise location map will be available soon. No matter where you come from or how you travel - you will reach Lucerne quickly and safely! 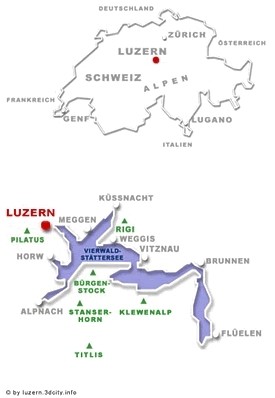 Lucerne is situated on the main route running from north to south and is connected with the Swiss railway network. Direct fast trains link Lucerne to the international airports in Zurich, Basel and Geneva. An excellent network of fully developed freeways serves to link Lucerne to all of the most important cities in Switzerland and abroad. The international airports in Zurich, Basel and Geneva are only a short trip by car to Lucerne, and are also well connected with direct fast trains.